Microsoft is suing mobile company Motorola, claiming that the handset maker is guilty of patent infringement with its range of Android phones. Specifically, Microsoft claims that Motorola is guilty of infringing nine of its patents in its Android line, following the latter company's gradual shift away from Windows Mobile across to Android recently. Microsoft says that Motorola has infringed patents that related to email synchronisation, calendars and contacts and meeting scheduling, as well as those that relate to user-notification of changes in signal strength and battery power. "Our action today merely seeks to ensure respect for our intellectual property rights infringed by Android devices," said Horacio Gutierrez, deputy general counsel in charge of Microsoft's intellectual property. "Judging by the recent actions by Apple and Oracle, we are not alone in this respect." The lawsuit comes only a few weeks before Microsoft is ready to launch the latest Windows Phone 7 handsets. in the UK. 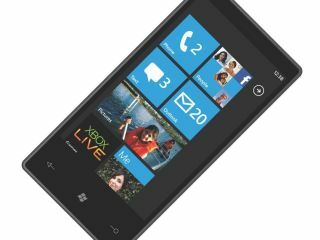 Microsoft hopes that Windows Phone 7 will enable it to win back market share in the mobile phone space from Apple and Google. A Motorola spokeswoman told Reuters that the company planned to "vigorously defend itself," while a Google spokesperson said the company was "disappointed" in Microsoft's move. "While we are not a party to this lawsuit, we stand behind the Android platform and the partners who have helped us to develop it," Google said in a statement.